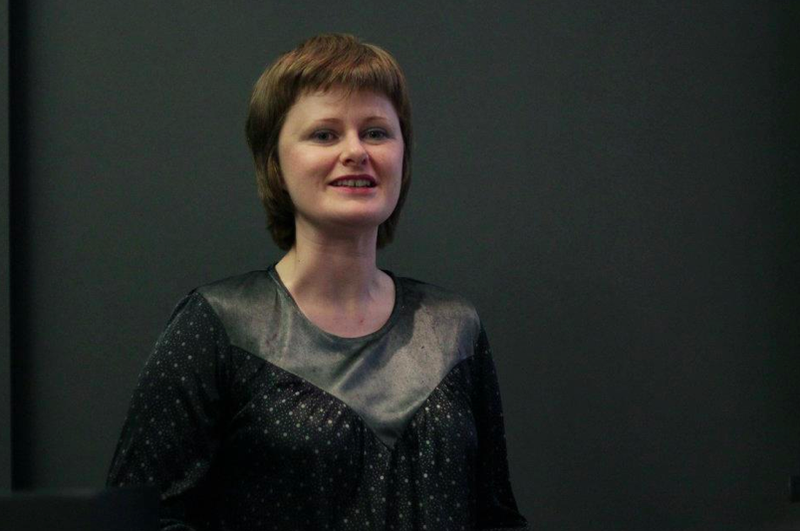 Last Thursday I attended a Pecha Kucha evening at the Hepworth Gallery in Wakefield. Selected by artist and curator Alice Bradshaw, Prized Possessions is the 6th in a series organised by The Art House. Originating in Japan as a way of making presentations easier to digest, Pecha Kucha is popular amongst ‘creative types’. The presentations each have 20 slides, 20 seconds long; the fast pace presumably allows information to be absorbed through osmosis. This brevity gave the evening a lightness of touch, which made it fun and helped it flow; digging deep didn’t seem to be on the agenda so I let go and let it wash over me. There were nine presentations, mostly eccentric collections of weird and wonderful stuff. Dave Charlesworth attempted a performance that was a work in itself, perhaps deliberately over-performed, and has left me with an image of William Shatner in his mustard-yellow Star fleet jersey. The 20 favourite Davids (by me) was a bit of a novelty piece; Bowie, Lynch and Attenborough were obvious choices for waxing lyrical. Jill Green had found a set of family photos, unseen since the 60’s. Memories were the prized possessions here, a stream of consciousness flowing out in her narration. There was a collector of fans (Vanessa Haley), a collector of Virgin Mary figurines (Paula Chambers) and someone who had so many pineapples that she actually looked a bit like one (Sally Sallet). Two were examinations of on-going projects; Jessica Longmore’s was a careful and analytical look back over an artistic process, explaining, and sorting out the motivations and results of a practice spent in artists’ studios, and Anne Cunningham talked about The Art House’s plans to move into a listed library, showing and sharing the problems and challenges they face, which raised a number of interesting questions. Unfortunately the Pecha Kucha process allows little time for group discussion, which would have been useful. A musical element gave the evening a feeling of cabaret. 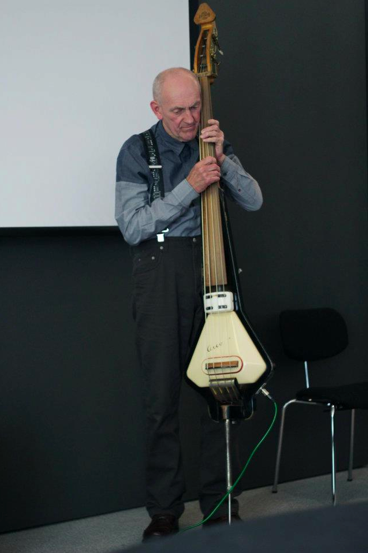 During his presentation Phil Moody played an accordion and shouted out words in an unrecognisable language, while Jill Green had a guy on a cyberpunk style electric bass playing alongside her. The highlight of the evening was The Crofton Silver Band who played two numbers during the interval, a march, which was truly exciting, and a soft warm ballad. Having all of this wonderful stuff together in one room without any overbearing sense of seriousness or self-importance was really refreshing. There is another event planned for October, (title undecided), so if you are looking for a friendly, quirky sort of social event I suggest you pop along, or, if you are feeling brave, apply to take part. Pecha Kucha Night Wakefield #6: Prized Possessions took place on 12 July 2012 at the Hepworth Wakefield.